Attention Plumbers and Facility Maintenance Personnel: What do you do when you have to fix a leaky pipe and you can’t shut off the water? Or maybe you don’t have the parts to fix it? Look no further than Blue Monster Compression Tape, the repair solution that doesn’t require you to shut off the main water source. 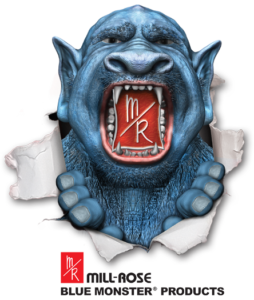 Blue Monster Compression Tape is a self-fusing silicone tape that seals through compression. 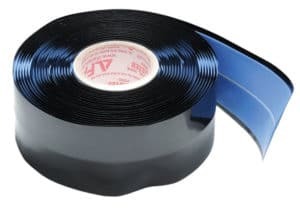 Blue Monster Compression Seal Tape is a must-have product for plumbers and maintenance managers everywhere – and it’s ON SALE NOW at Equiparts! There’s no better time to prep for an emergency than now! Add this tape to your toolbox, and win the battle against leaks every time! 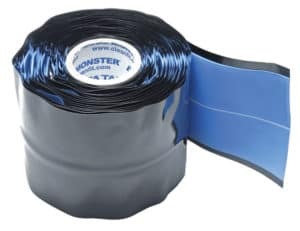 Check out all of the Blue Monster products we carry, including the 1”x12 ft Compression Tape (EC Part #36887), the 2”x12 ft Compression Tape (EC Part #36888), plus Anti-Seize Lubricant, Quick-Release Pliers, Fitting Brushes, and more on our website, or give us a call to place an order: 800-442-6622 (M-F, 7:30AM-5:00PM EST).